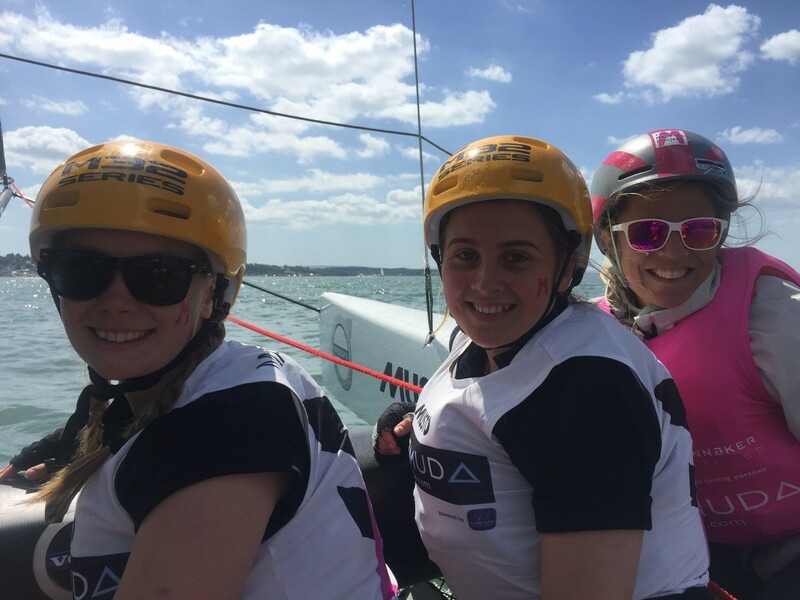 The Magenta Project and ASSF working together to inspire the next generation of female sailors at Cowes Week. 8 girls from the Andrew Simpson Sailing Foundation (ASSF) have spent the day sailing on board an M32 Catamaran with some of the female sailors from The Magenta Project. The girls selected, all aged 16-18 years were given a once in a lifetime opportunity to climb on board with world-class and ocean racing sailors: Abby Ehler, Annie Lush, Sam Davies and Cecile Laguette for a 3 hour sail during the Slingsby Gin Ladies Day at the famous Aberdeen Asset Management Cowes Week on the Isle of Wight. The Magenta Project, set up as a legacy of the Volvo Ocean Race Team SCA, aims to advance women in professional sailing. 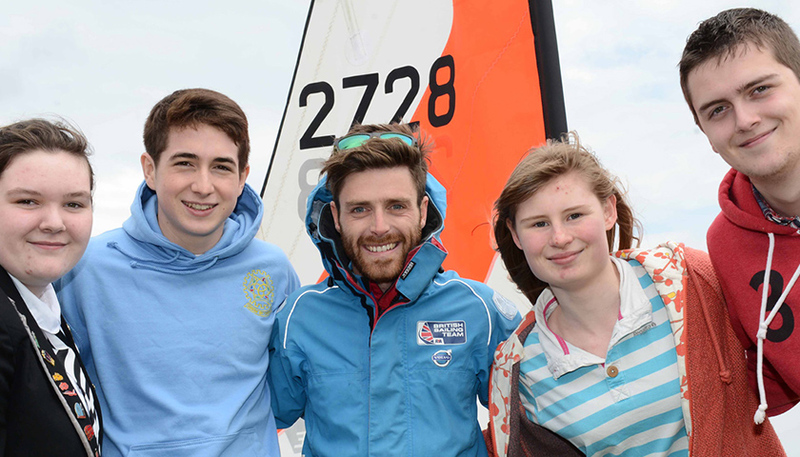 Part of this mission is to provide real opportunities and support for up-and-coming sailors. By working with the Andrew Simpson Sailing Foundation to give these eight girls a taste of what it is like to sail a high-performance M32 catamaran, The Magenta Project hopes to encourage and inspire women within the sport. The girls were able to test their skills on the M32 including trimming, furling, grinding and driving. The breeze proved a little puffy, which is challenging sailing a catamaran as it is constantly lifting a hull in and out of the water, however, the girls didn’t take long to get a feel for the differences between a monohull and multihull. Holly Boalch, Leila Moore, Tara Butterfield, Imogen Cage-White, Megan Thornley, Catherine Hunt, Abi Clarke and Izzy Mitchell have all had an experience in racing and the ASSF felt they would truly benefit from a chance to sail the high performance and powerful catamaran with the team and be inspired by the female sailors on board with them.